I frequently find myself perusing different websites looking for the perfect little gift to give to a friend that doesn’t break the bank. Sometimes it can get a little overwhelming and majorly time consuming trying to find just the thing that I’m looking for. 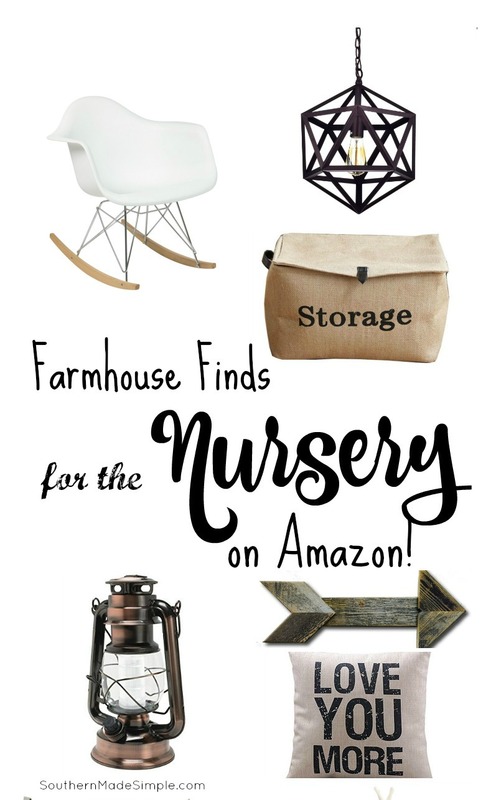 I wish I had one solid resource that had tons of little gift ideas that would feed the farmhouse bug in me. Then it hit me: You may be looking the very same thing! 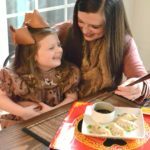 So I decided to put a little collection together of some of my very favorite gift ideas under $30 – just for you! 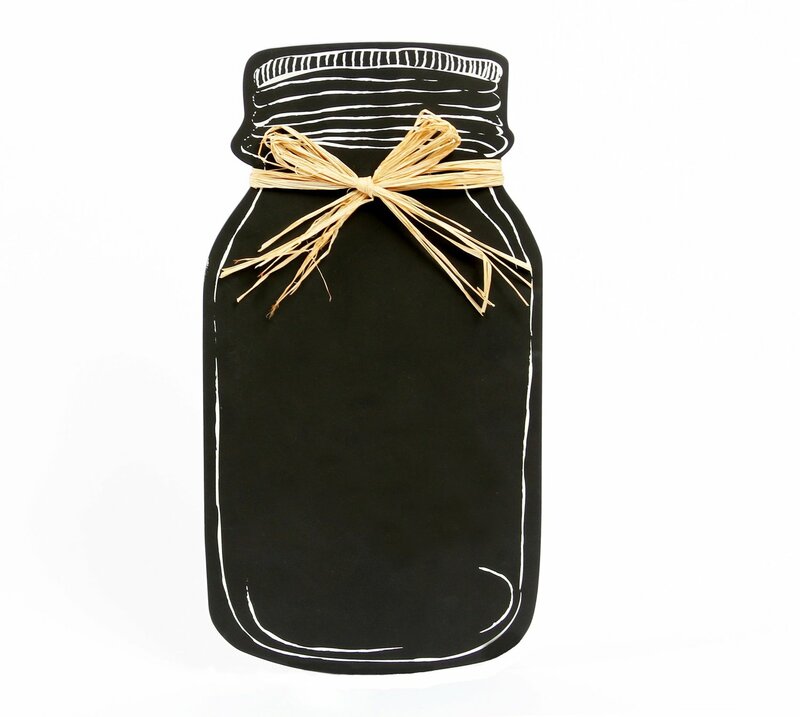 Mason Jar Wall Chalkboard – How cute would this little chalkboard be hanging on the wall in a kitchen with your weekly menu or grocery list on it? 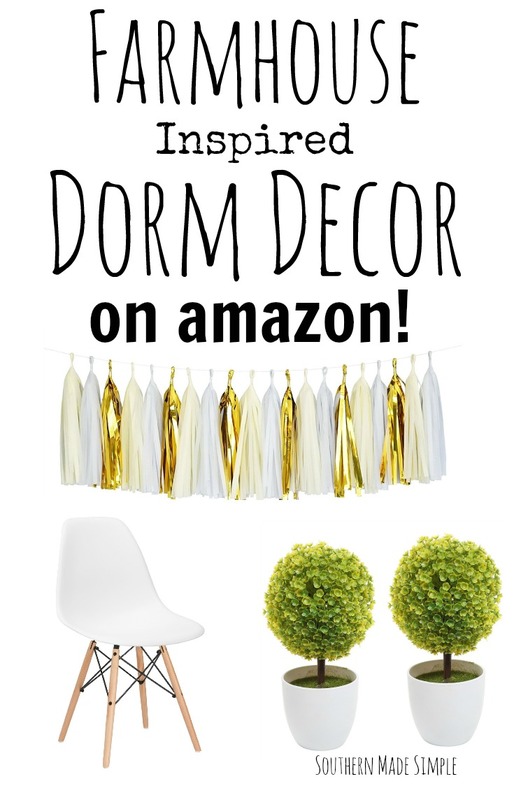 For less than $12, you seriously can’t go wrong here! 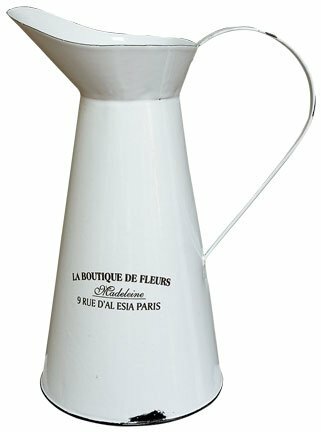 Ceramic Pitcher Vase – If you flip through any dome decor magazine, you’ll likely see one of these simple white pitchers incorporated into the decor. Can’t you picture some beautiful fresh hydrangeas placed in this vase to add a pop of color to your kitchen? Right now it’s only $25! 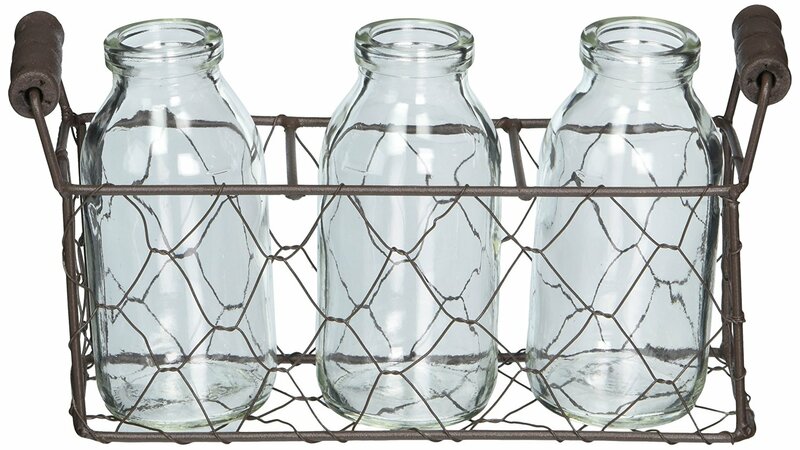 Rustic-Industrial Coffee Mug Rack – As we all know – First we do the coffee, then we do the things. Stuff just doesn’t get done until the coffee is poured in my cup! 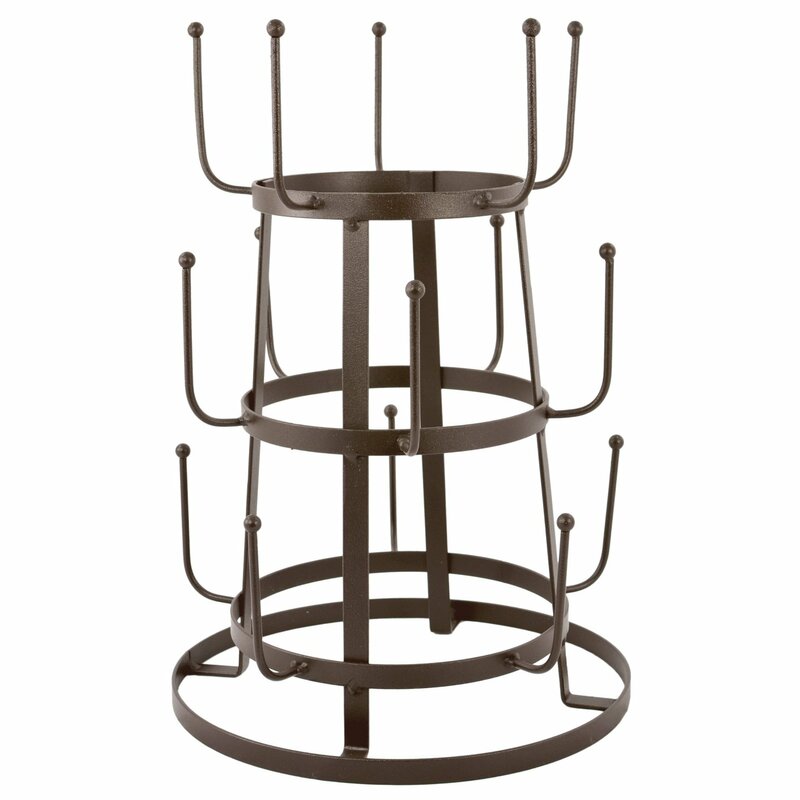 I love the look of this industrial coffee mug rack. 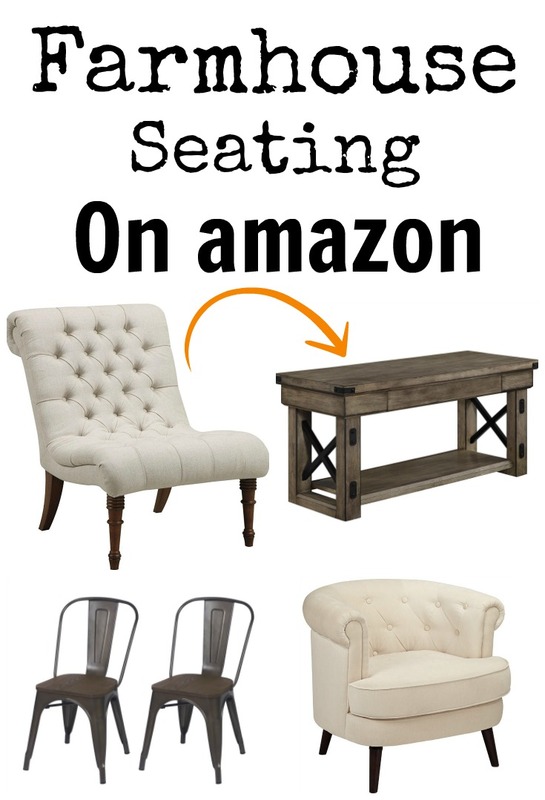 You can snag it for around $28! Cotton Linen Compass Throw Pillow – Why not have some cute throw pillows to make your living room or bedroom a little more inviting? 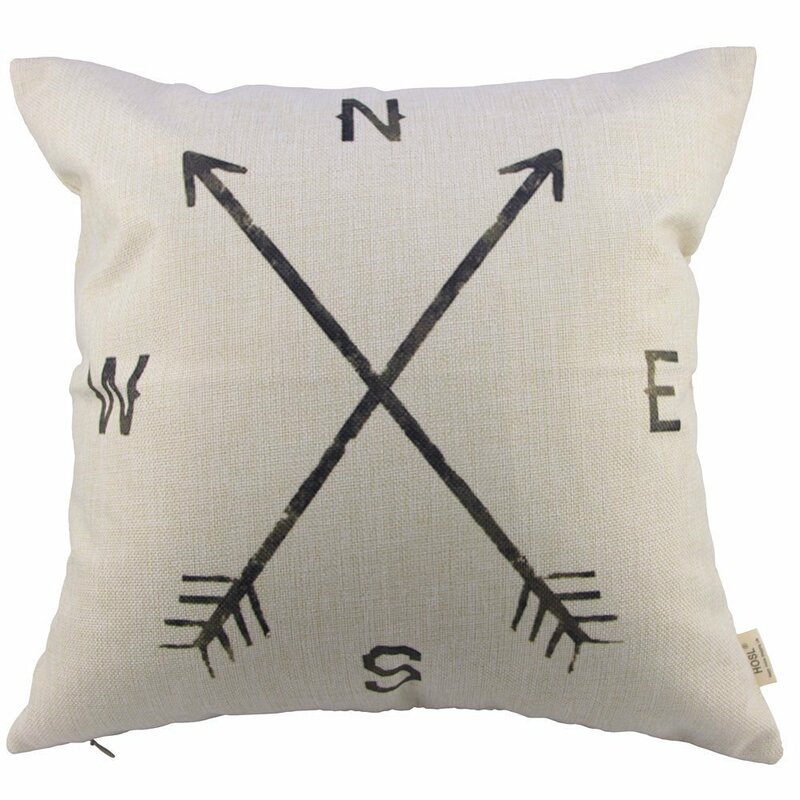 I really love this compass arrow pillow cover. And it’s less than $3 – mega score! 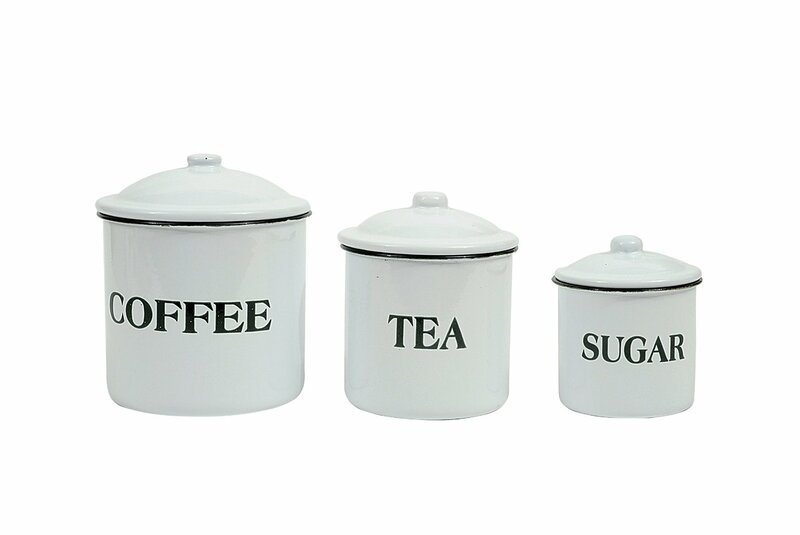 Farmhouse Kitchen Canisters – I just love the simple, vintage look of this kitchen canister set. It’s priced at only $13, too. What a steal! 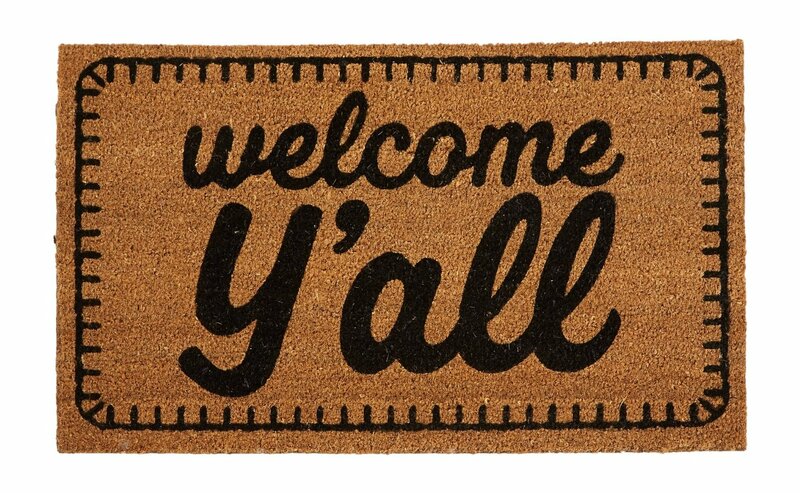 Welcome Y’all Door Mat – Does this outdoor floor mat even need explaining? It’s so stinkin’ cute, y’all! 😉 It’s less than $30 – and it’s absolutely going in my shopping cart! 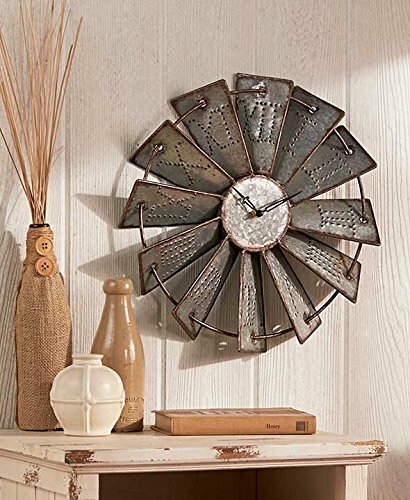 Metal Windmill Wall Clock – This was a total impulse buy for me. 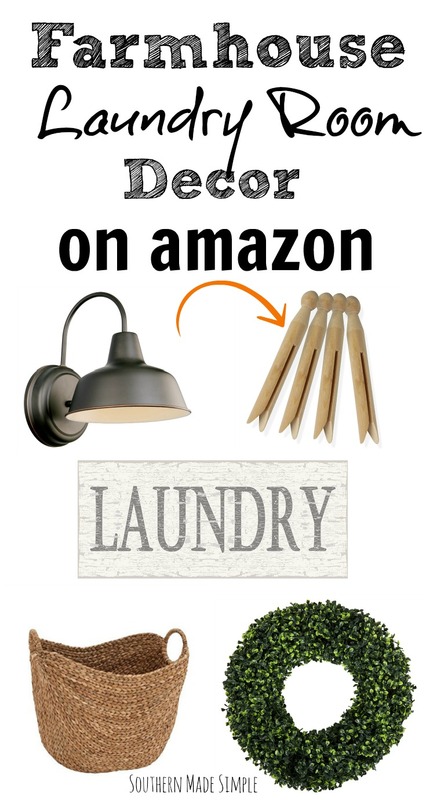 I’ve seen windmills incorporated into farmhouse decor, but they’re SO expensive! This cute little clock is priced at less than 20 bucks – making it a fabulous gift for the farmhouse connoisseur! Farmhouse Chicken Wire Basket – There’s just something so beautiful about farm fresh eggs, and they’re even more beautiful when they’re on display! 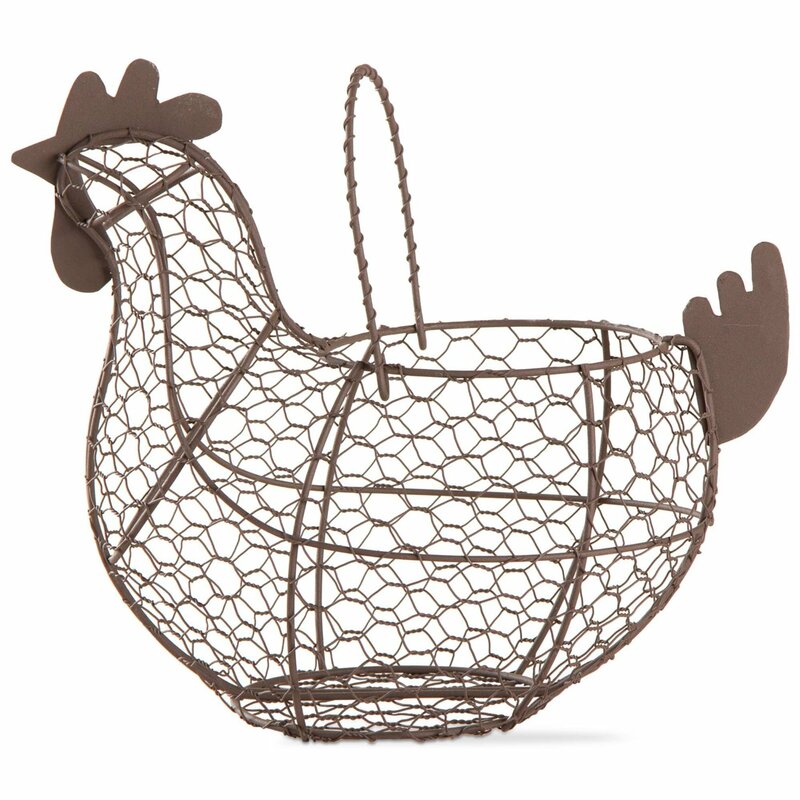 I’m really loving this cute little chicken wire basket priced at just $18! Oval Decorative Serving Tray – If you have a friend that loves to entertain, this would be a fabulous gift idea! The brushed metal or galvanized look is really trendy right now, and I really love the twine handles! This tray is priced at just $28. 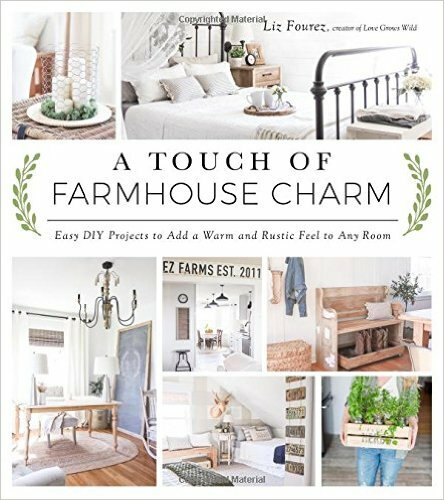 A Touch of Farmhouse Charm DIY Projects Book – If you’re looking for a gift for someone who loves DIY projects, this book would be a total treasure! 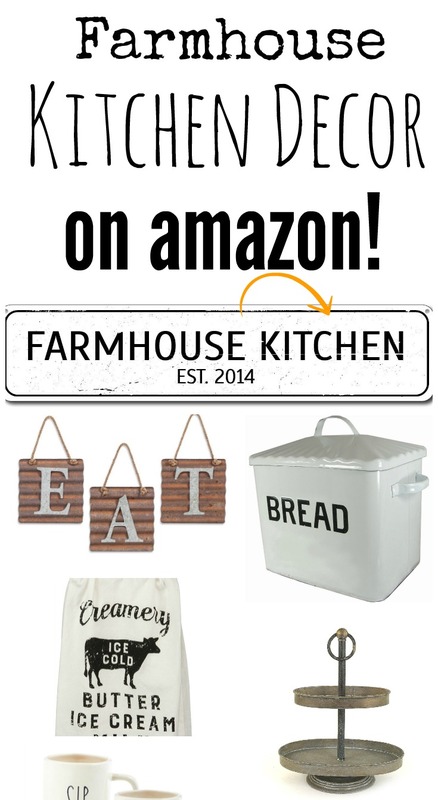 It’s packed with amazing home decor ideas and projects to help get your farmhouse fix! It’s only $16 for a paperback copy, but a kindle option is also available! Metal Tin Organizer – Do you have a friend that loves to keep things neat and organized? This would be a perfect work space accessory, or even a great kitchen utinsil caddy! The limit does not exist! Go ahead and snag these cute little containers priced at around $25! 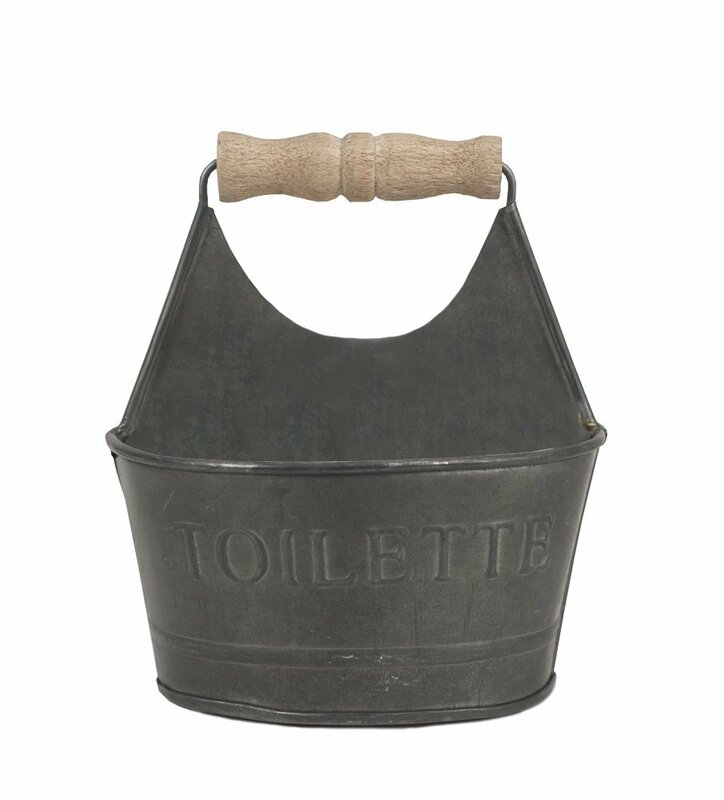 Small Toilette Tin Caddy – This little bathroom caddy is totally on my Christmas wish list this year! It’s a small caddy that would be perfect to keep Q-tips or cotton balls in. It’s only 10 bucks! 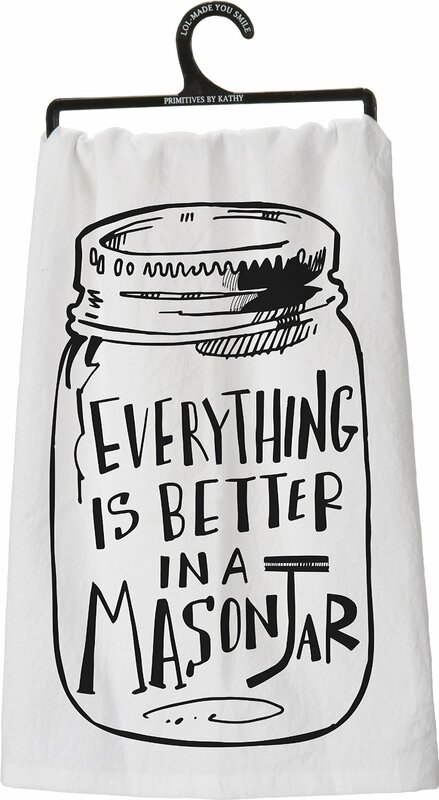 Mason Jar Kitchen Towel – The towel says it all! Wrap this cute little kitchen towel up with some string and you have the perfect gift for less than $10! 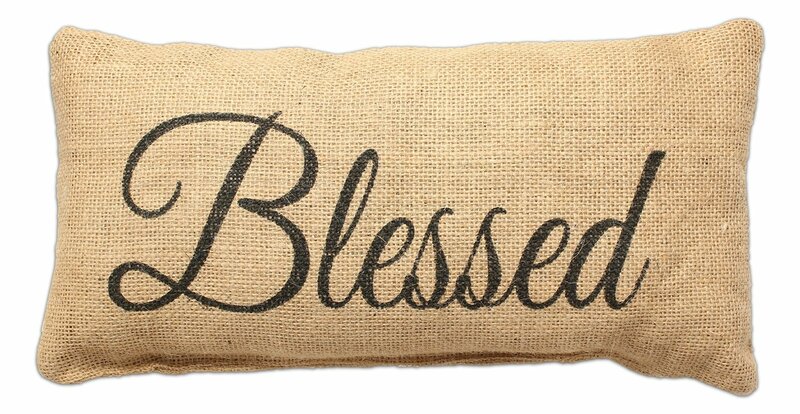 Blessed Burlap Throw Pillow – Here’s another cute little throw pillow to spruce up your decor! I really love the burlap look with this one. It’s priced at just $13! 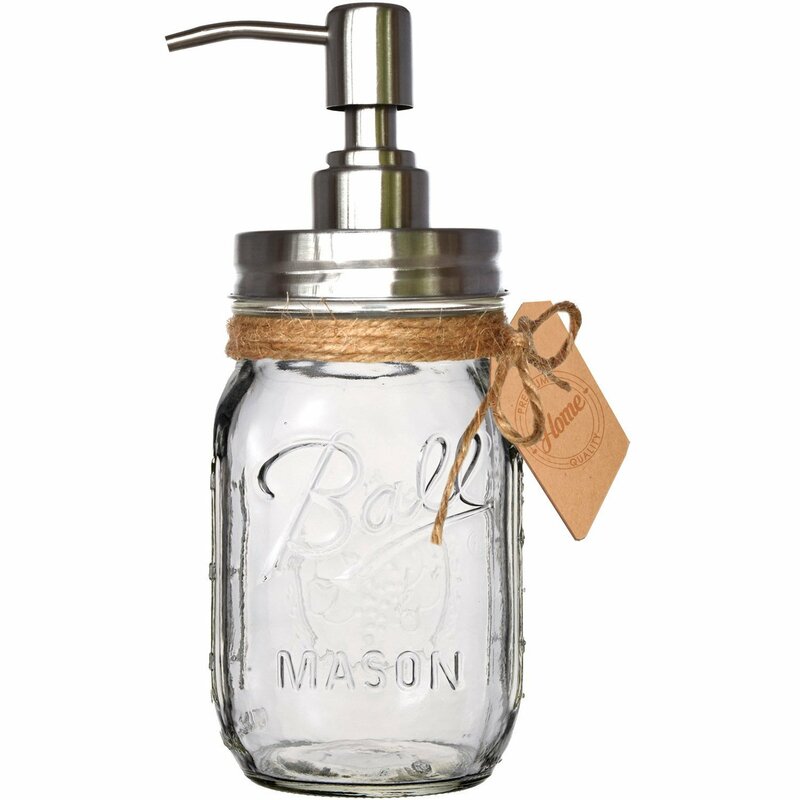 Mason Jar Soap Dispenser – Isn’t this adorable, y’all! 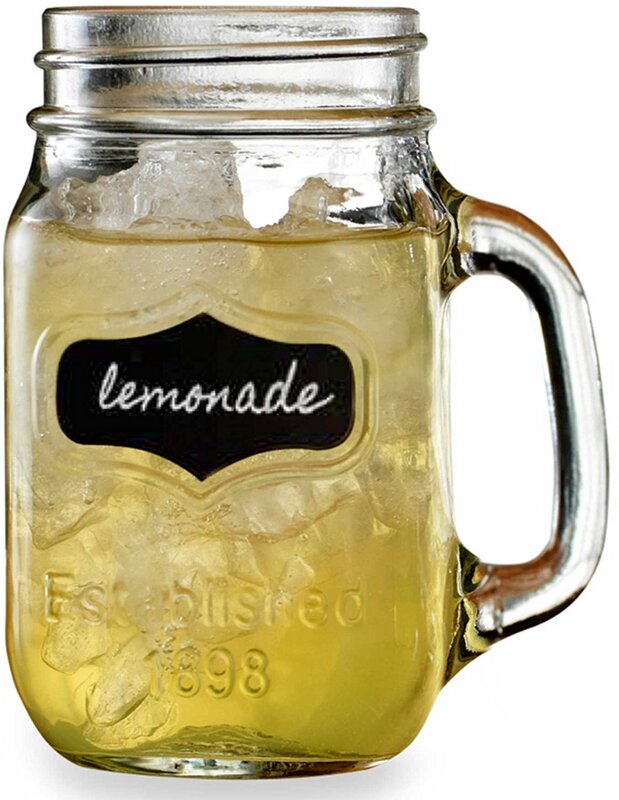 Everything really is better in a mason jar. This cute little soap dispenser is only $17! Mason Jar Ceramic Measuring Spoons – I seriously my measuring spoons almost every single day. These little mason jar spoons would make a wonderful gift for someone who loves to cook! They’re priced at less than $17. 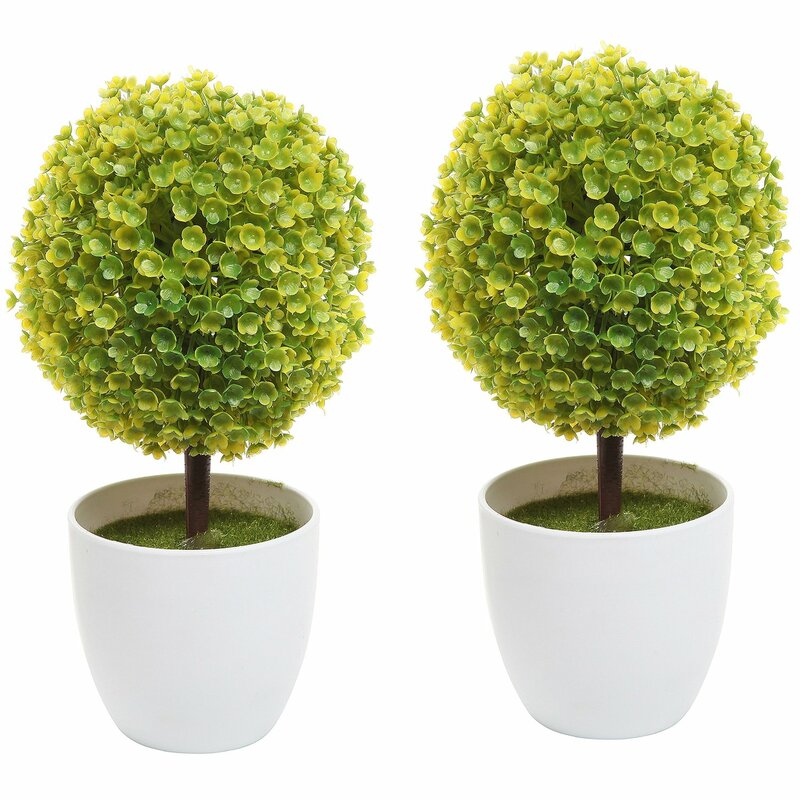 Set of 2 Faux Topiary Plants – We all know that adding a pop of green to your decor can really make a space feel alive! 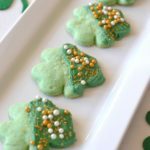 Even though these little topiaries aren’t technically alive, they still make a statement! 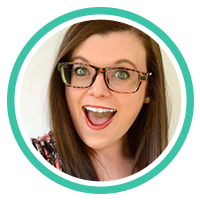 You can snag them for just $20! 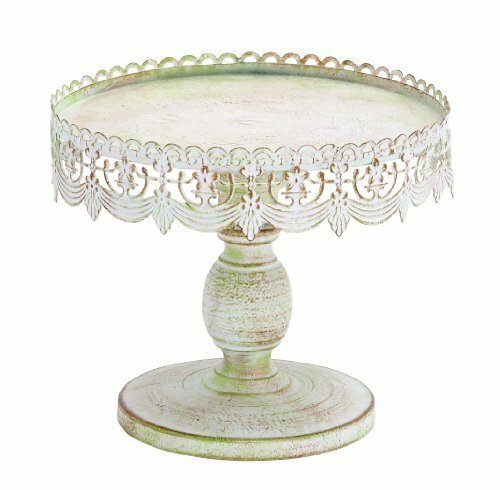 French Country Inspired Cake Stand – Isn’t this cake plate gorgeous? Seriously, I’m crazy about this piece! 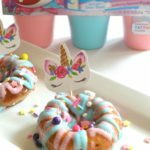 This would make an amazing gift for someone who loves to bake, but it’d also be great to but decor items on, too! For just $21, you really can’t beat it! Set of 4 Chalkboard Mugs – I’m totally loving these cute little mason jar chalkboard mugs! They come in a set of 4 and they’re priced at only $15! 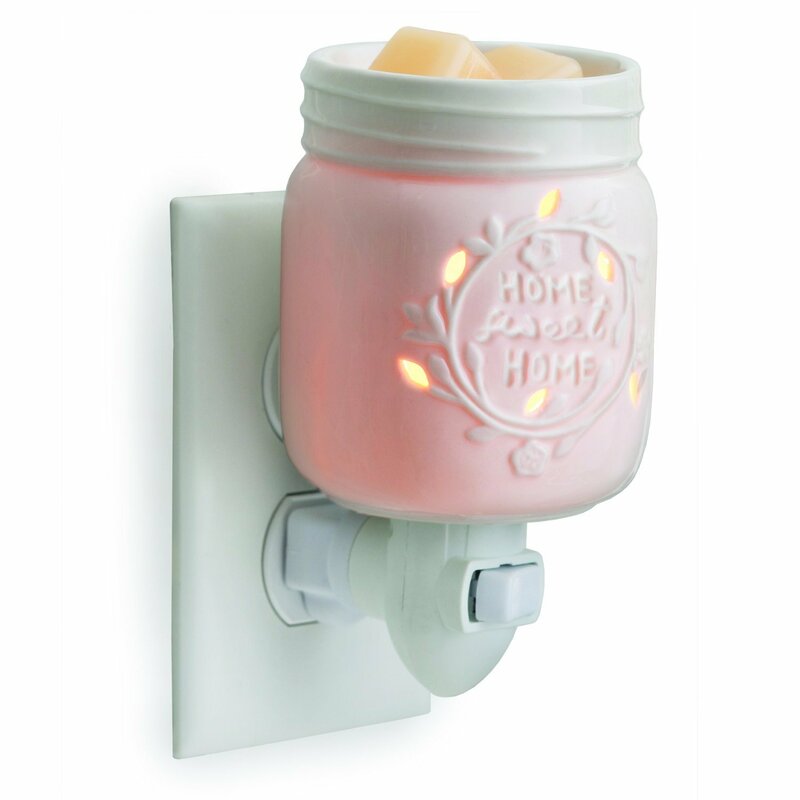 Mason Jar Plug In Warmer – Move over, candles! This little mason jar plug in is the only gift that makes “scents!” 😉 It’s only $12 – so go ahead and pick up some yummy smelling scents to go with it, too! 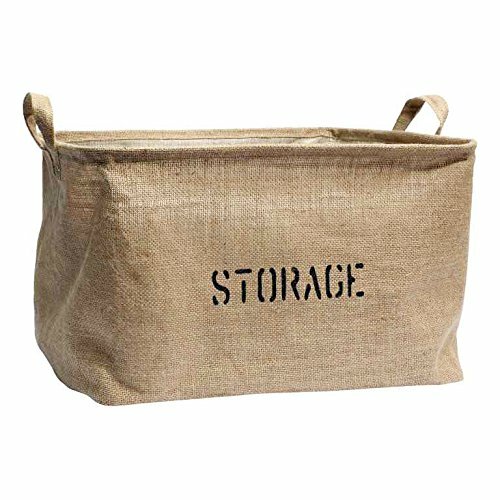 Burlap Storage Tote – Everyone needs a place to put their junk – why not make it somewhere super cute? 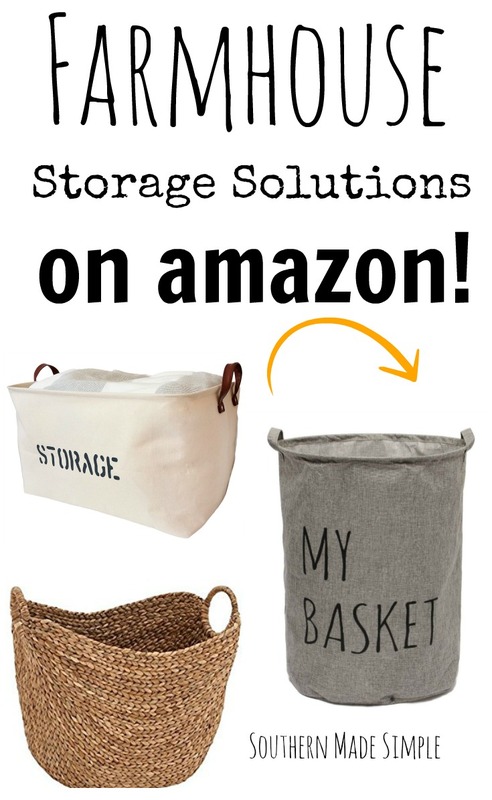 This burlap storage tote is only $15! Quatrefoil Distressed Picture Frame – Picture frames are always a great gift idea. Everyone loves a pretty frame to put their favorite pictures in! 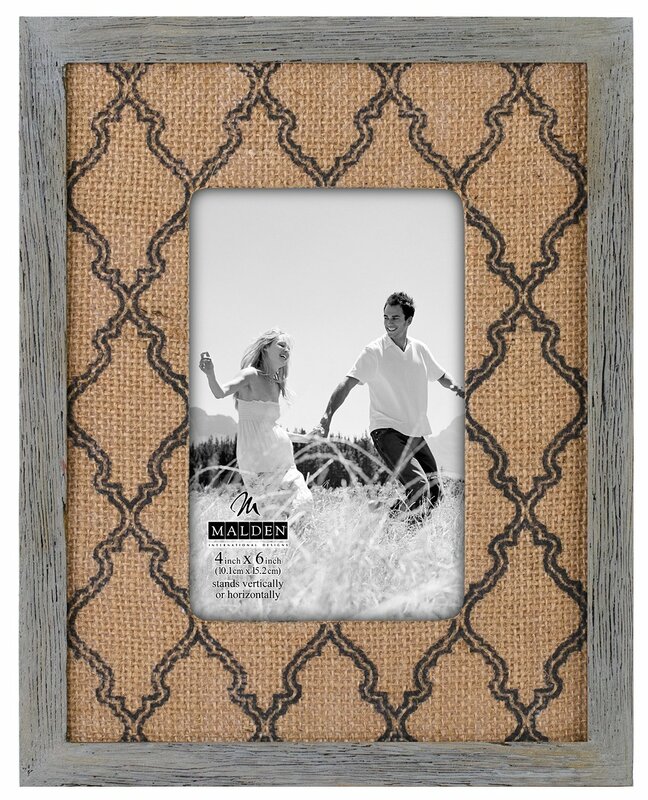 I’m loving the look of this burlap printed quatrefoil picture frame! It’s priced great at only $12. Decorative Mini Wire Basket with Vases – These little vases would be so cute with a little twine tied around the mouth and a few fresh wildflowers in each one. I love that they look like miniature old timey milk bottles! 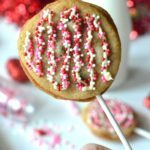 For less than $10, you really can’t go wrong with this gift! 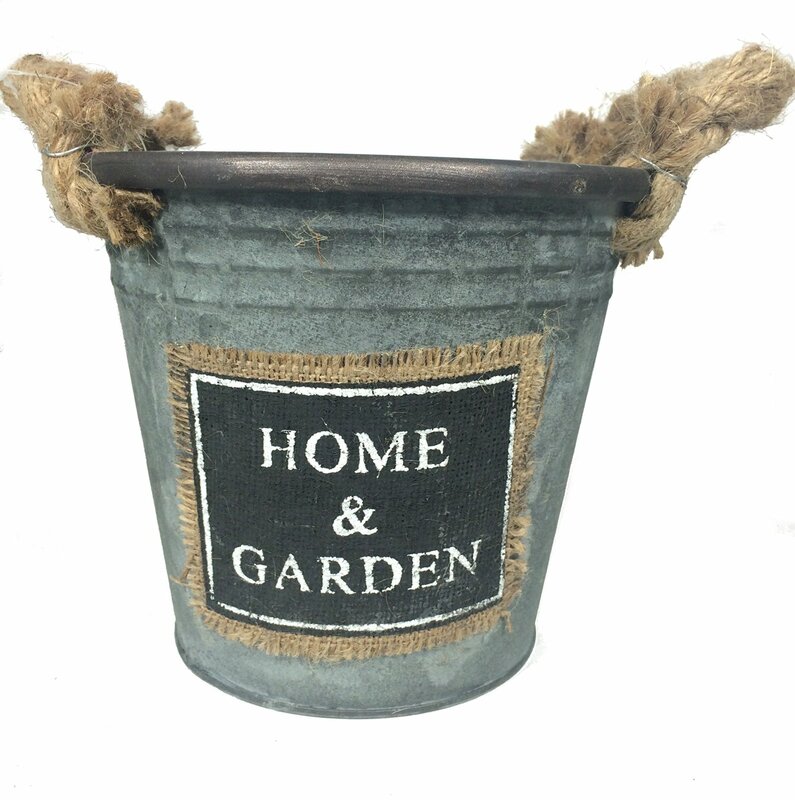 Galvanized Metal Planter – Are you shopping for someone who loves to keep live plants in their home or on their patio? 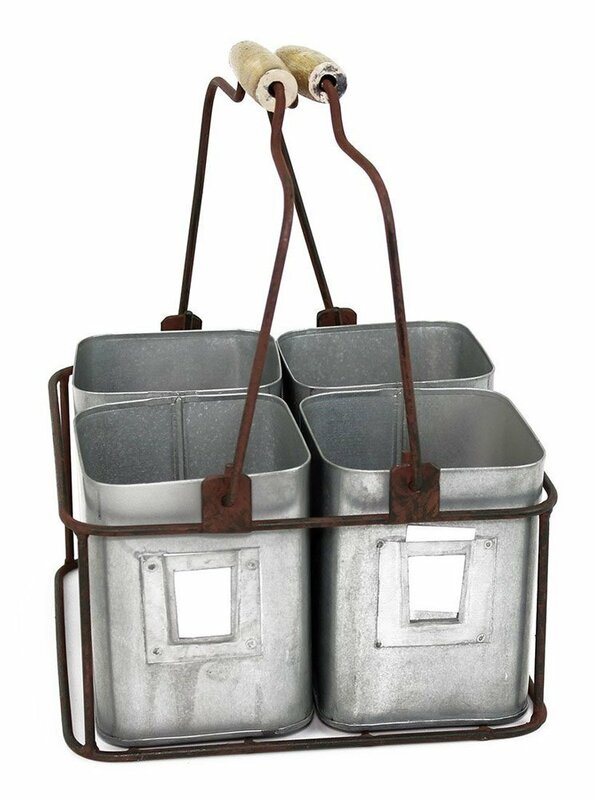 This cute little galvanized pail would be perfect! I love the little burlap detail on the front. It’s priced at only $9, and there’s several sizes to choose from! 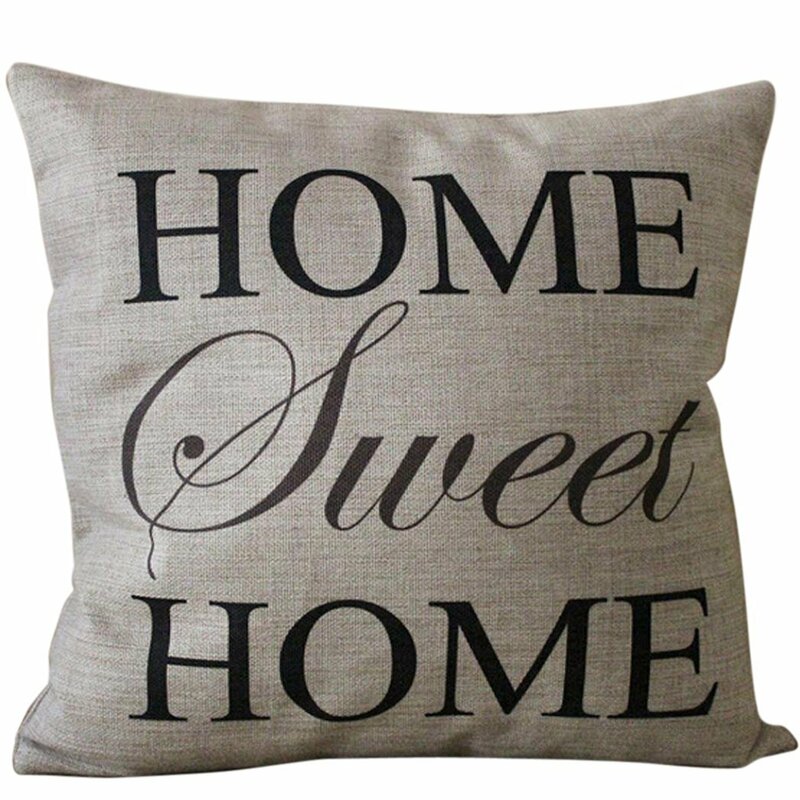 Home Sweet Home Throw Pillow – Can you tell that I really love throw pillows? This one looks like it’s straight out of a magazine! This pillow cover is priced at less than $4 – but don’t forget to throw in the pillow insert, too! 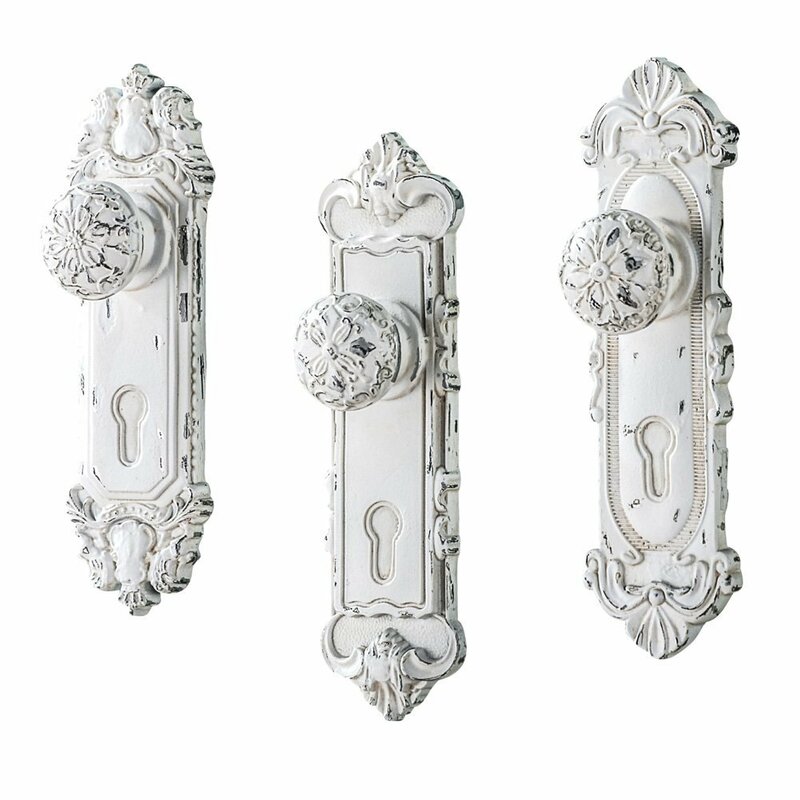 French Country Doorknob Wall Hooks – How gorgeous are these fabulous distressed doorknob hooks? They’re be beautiful in a bathroom to hang towels on, or even a great place to hang jewelry and long necklaces! 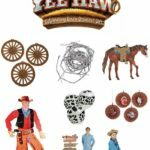 This comes in a set of three and it only $13! Shabby Chic Arched Wood Mirror – This may be a less traditional sort of gift, but I’d sure love it if someone bought me this gorgeous mirror! 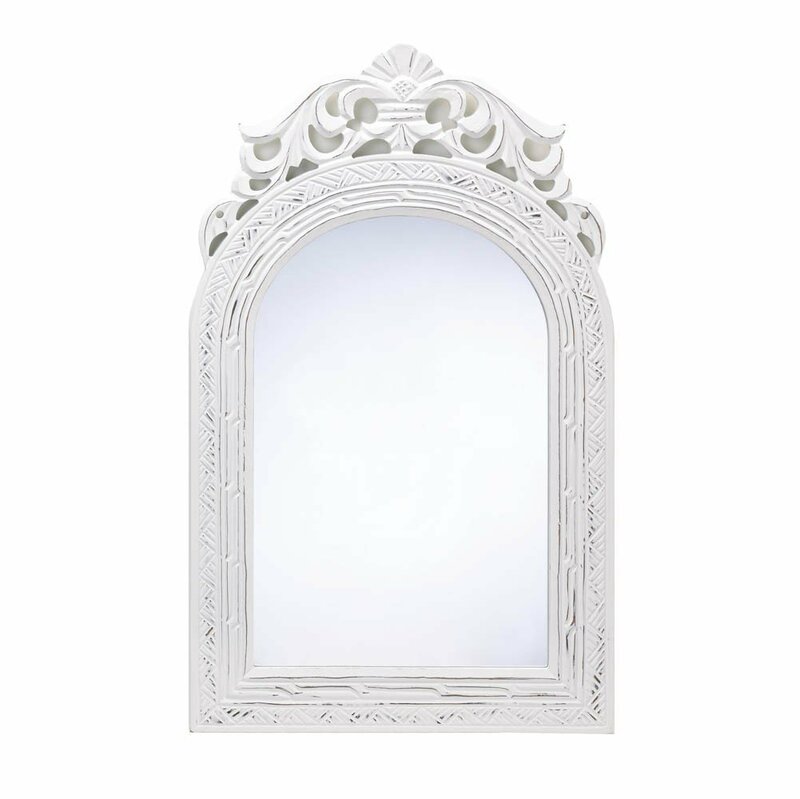 This would really be beautiful in a hall way or to use as a vanity mirror. It’s just $25 – why not wrap it up with a nice bow and give it to someone you admire? 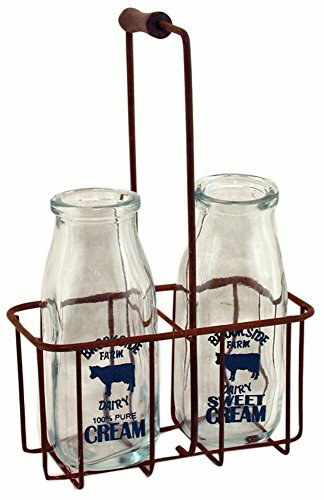 Vintage Milk Bottles with Caddy – Vintage style milk bottles are a hot item right now. These little bottles are just too perfect, and I really love the little advertisement with the cow! 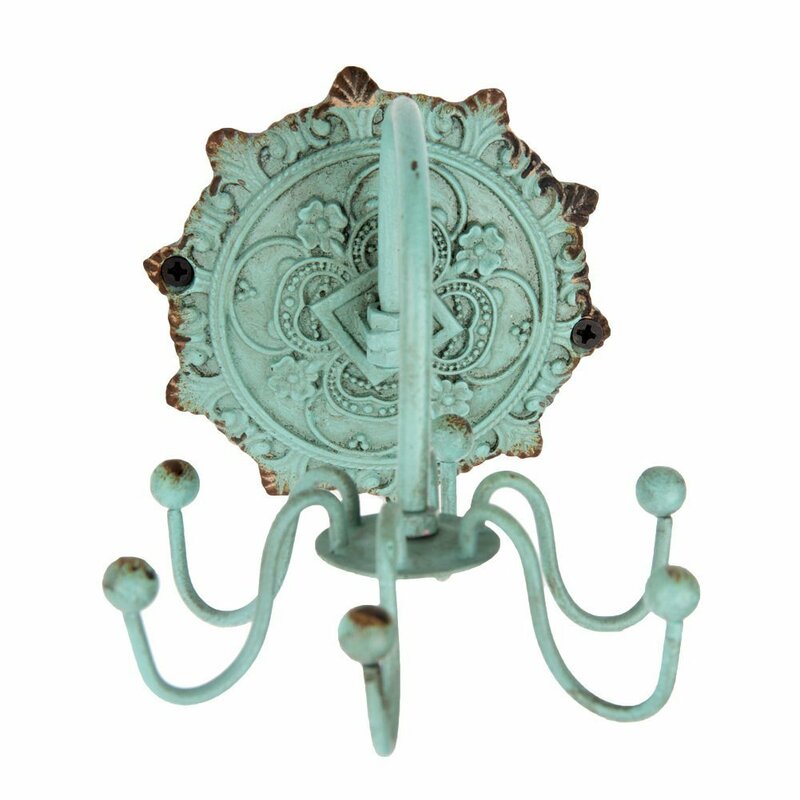 This little piece will fit into any decor – so think outside the kitchen! It’s priced at only $16. 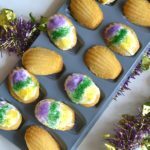 The Magnolia Story – Finally, if the farmhouse lover in your life knows their stuff, they more than likely already LOVE Chip and Joanna Gaines – the king and queen of farmhouse decor! 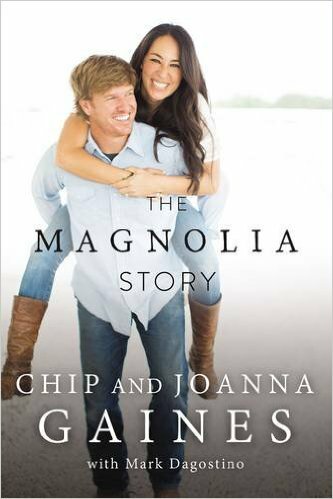 They have an amazing story, and they’re sharing it all in their book, “The Magnolia Story.” Pick up a copy for your friend (or yourself) and and fall in love with all things shiplap all over again! It’s priced at just $15 for the hardcover book, but it available in other formats as well. 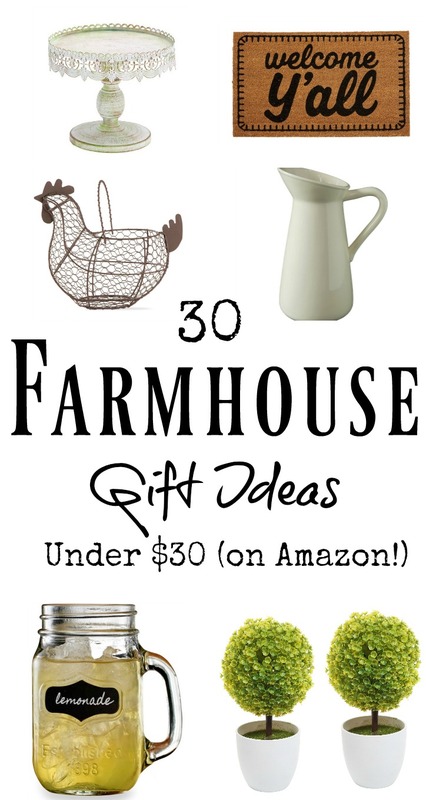 I hope you found something you really love from this list of 30 Farmhouse Gifts under $30 on Amazon! 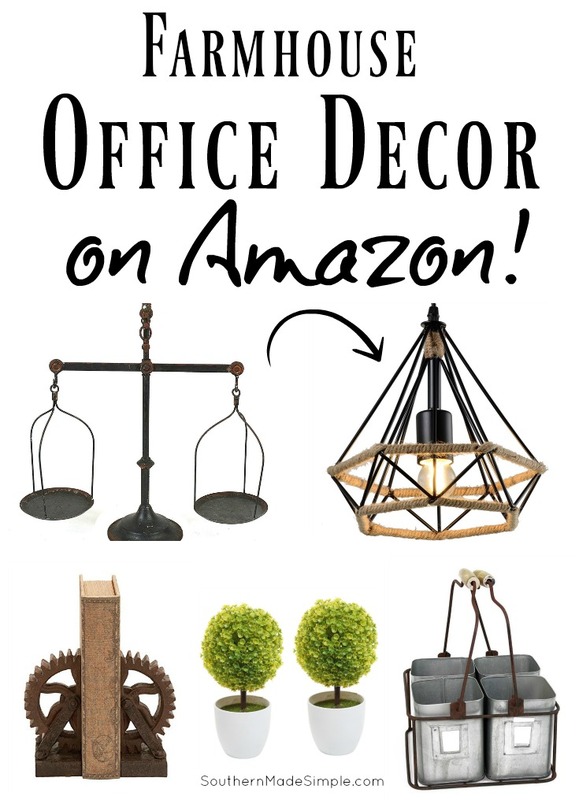 You found some cute stuff on Amazon! I just love that little metal tin organizer!